ON SALE NOW! 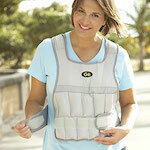 –>> $99 and FREE SHIPPING! The MOGO by Focal Upright Furniture. The same people who have brought us the Locus office workstation have also made this portable seat. Known for their ergonomic seating designs in the workplace, they were inspired to provide you with this – MOGO! Of course I like buying stuff for myself too! Because the MOGO weights only 2.1 lbs, collapses down to 18″, and will fit in your gym bag, back pack, courier bag, or stow away in a desk drawer – you can use this ANYWHERE! First – it is great to have in the workplace. There are companies who have seen the value of having a dozen or so around the office for impromptu meetings and it does away with the stacks of chairs that take up valuable floor space. Second – it’s a very economical way to quickly convert your workspace into an ergonomic one on a tight budget. I would suggest budgeting for a complete healthy, active, and ergonomic workplace – but while you are collecting your ergo office funds – check out our article on “Guide to Designing Your Ergonomic Workplace for Under $500”. Third – you can take the MOGO anywhere. Haul it out when you are stuck standing in lineups (perfect if you are headed to Disney any time soon), or just planning on spending the evening at an outdoor concert. 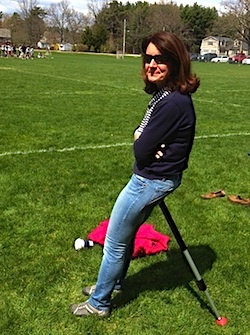 soccer moms and dads – relax and still be perched to see everything that is going on. No more having to ‘jump-up’ when the crowd stands. That was just a short list of people who are already enjoying using the MOGO. It is natural to lean. The body knows this. What happens when you are next to the kitchen counter? You lean. A high wall? You lean. The human body’s natural healthy leaning pose is to have the legs at 135 degree angle. When you are leaning your pelvis is open, the stress is off your legs, you don’t hunch, you don’t need a backrest, AND you are actually moving a little bit. This causes you to pump more blood, providing your body with more oxygen and nutrients – and you don’t even notice! 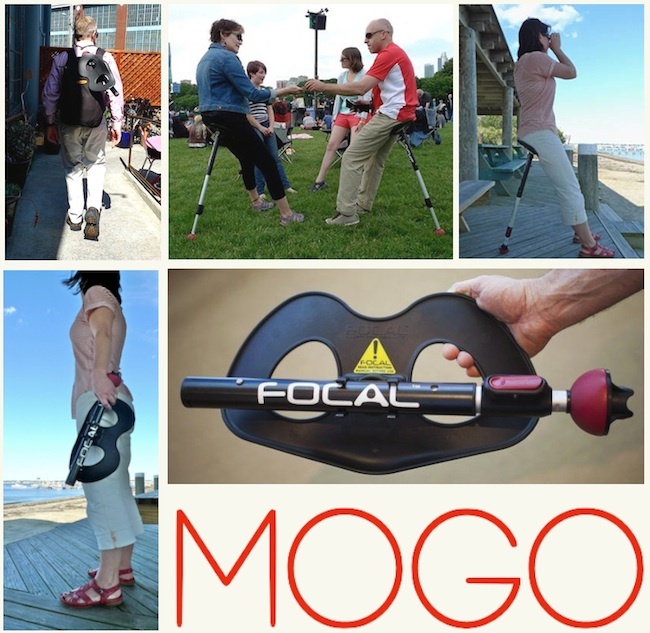 Watch the video where they demonstrate the MOGO in the news. Made for the indoor or outdoor with a versatile base for nearly any surface. The seat itself is made of reinforced fiberglass. 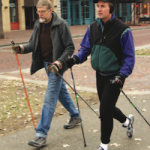 The base tip is rubber and the telescoping leg collapses to 18″ and fully extends out to 38″. Any questions or still not sure – feel free to give us a call. Mogo leaning seat discount coupon not available at this time. Please check back. 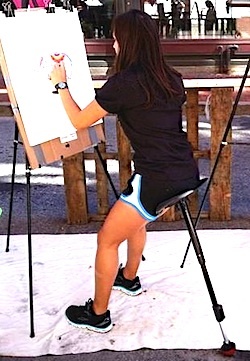 Referred to as a “Human Kickstand” it is an excellent addition to anyone’s choice of seats. Because it is versatile for use on most any surface, indoor or outdoor – the MOGO has found itself in the workplace, long lineups, hikers packs, and golf bags. Quality made with the durability and design excellence you would expect of the Focal Upright Furniture company. Seat – made of reinforced fibreglass. Detaches quickly for easy portability. Measures 14.5″ x 8.5″ Leg – made of extruded anodized aluminum. Extends to a full 38″ with three telescoping sections. The main part extend out to to 27.5″ and the second section will make smaller incremental adjustments of one-inch. Base – rubber and reversible to adapt to almost any surface, soft or hard. Versatile, and can go anywhere. Ergonomic and perfect for active rest. At only 18″ it is small enough to fit almost anywhere but will extend to 38″ to accommodate a very tall person.